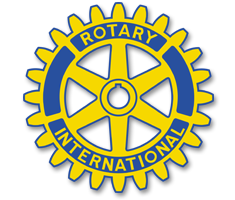 Please join us for the Gadsen Rotary weekly meeting with featured speaker Geri Burgess. The meeting will be held at the Gadsden Country Club at noon on April 9. Hope to see you there! For reservations or more information, contact Stephanie Baltes at stephaniebaltes@exba.com. Please join Gadsden Rotary on Thursday, April 2 at noon at the Gadsden Country Club as we welcome Gadsden Chamber of Commerce Director Heather New and Jeff Little to update us on the Gadsden Sports Authority. For reservations, contact Stephanie Baltes at stephaniebaltes@exba.com by March 30. Linda Barrett-Vaughn, Etowah County Tax Assessor, explained a little about the inter workings of the tax office and answered property tax questions. Talk Radio host Mack Butler spoke to the club about his view of current events. Daryl Thomas, the plant manager at Inteva, spoke to us about the product expansion at his plant and the economic impact it will have on our community. Felicia Simpson will be speaking about our Signature Project. Our speakers are Don Miles, Gadsden International Student Center Committee Member, and David Ford, Gadsden International Student Center Committee President. They will be speaking on the need of an international student center to house international college students and the students current impact to the local economy. Dr. Max Sanders described acupuncture techniques he learned at Harvard for chronic pain. David Ford with the Berman Museum of World History in Anniston Alabama shared his vast knowledge of the history of the current exhibits at the museum. Hugh Hammer, Aquaculture Instructor at Gadsden State Community College, discussing how the Zebrafish raised at GSCC are used for medical research. Joy Ballenger was inducted as a new Rotary member by her Membership Sponsor Jahn Coppey. Congratulations Joy! Dr. Ray Statts, Gadsden State Community College President, discussed the colleges latest projects and what makes GSCC unique and special. Strategic Planning At the Gadsden Rotary Club last Thursday we watched a video about Changing the World. Take four minutes to change your world by viewing it: http://www.youtube.com/watch?v=6vVyG0TJBWM At Rotary we …change lives! Tom Brookshire will be discussing Relationships and Marriage. Tyler Barnes, Owner of Medcorp, has 30 years in hospital and doctor's office administration and will be discussing what we need to know about the new healthcare laws. James Smith with The Center for Domestic Preparedness will be updating us on the CDP. Alicia Guyton Financial Consultant Alicia Guyton, Financial Consultant, gave us a market update. Kent Davis, Navy Reserve Captain, has just returned from a tour of duty in Afghanistan and will be speaking to us about his role as a Navy Captain. Discussing strokes and stroke rehabilitation. Children's Christmas Shopping and lunch with Santa. Wilbur McCauley, Director of Animal Care and Operations for Tigers for Tomorrow. Immediately after the regular meeting, there will be a Board Meeting. Lloyd Ford, CEO Riverview Regional Medical Center Topic: Renovations and new accreditation at RRMC.